How can we use the oceans to produce energy? The ocean is full of energy. If we can harness it, we have access to almost unlimited amounts of sustainable power. At any one moment in time there are a number of highly energetic processes happening in the ocean: waves are crashing with enormous force, unimaginable amounts of water are being moved by the tides, currents are transporting vast quantities of water, and much of the surface of the ocean is being heated by the sun. There is more than enough energy there, if we can capture it, to power the world many times over. What makes energy from the oceans attractive is not just the amount available, but also its predictability. This is especially true for tides and currents which flow almost constantly, but even wave power is available up to 90% of the time, compared to just 20-30% for solar and wind. The three most promising methods of generating energy from the oceans are ocean thermal energy conversion, wave power and tidal power. Whilst for a long time these technologies have been prohibitively expensive, rising fossil fuel prices and technology improvements are making them more and more feasible every single year. Ocean thermal energy conversion produces electricity using the natural thermal gradient in the ocean: heat from surface waters is used to create steam to drive a turbine, whilst pumping cold water from the deep to re-condense the steam. Currently, the cost of this technology is still much higher than conventional methods, but one big advantage is that this process can be modified to produce freshwater as a byproduct, making it an attractive option for islands which need both energy and a source of freshwater. 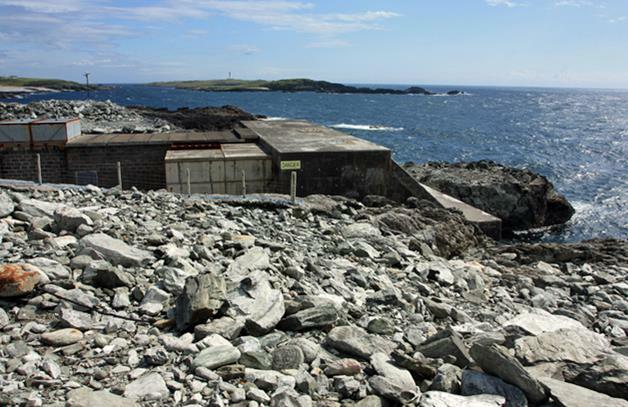 Wave energy is considered one of the most promising technologies and the first commercial plant was installed on the Island of Islay, Scotland in 2000. The greatest potential exists at temperate latitudes where the strongest winds are found. This source of energy could potentially meet 1/5th of current global energy demands and current prices are reaching a point where it is almost competing with energy from conventional power plants. This is the first commercial wave energy plant on the Isle of Islay, Scotland. External wave action causes the water level inside its chamber to oscillate, compressing and decompressing trapped air above, causing air to flow backwards and forwards through a pair of turbines. Image credit: Peter Church / Wikipedia commons. Tidal power has the advantages of carrying huge amounts of energy and being highly predictable – we can predict what the tides will be doing thousands of years into the future with pinpoint accuracy! The first tidal barrages were essentially damns built across estuaries to trap the incoming water, using it to drive turbines. There are a number of environmental impacts associated with these damns, but recent innovations (such as tidal-stream generators) are far less of a problem: they resemble underwater wind turbines that are designed to take advantage of fast moving currents caused by the flow of the tide. It is estimated that in the UK, over half the energy requirements of the entire nation could be met through this one renewable resource. 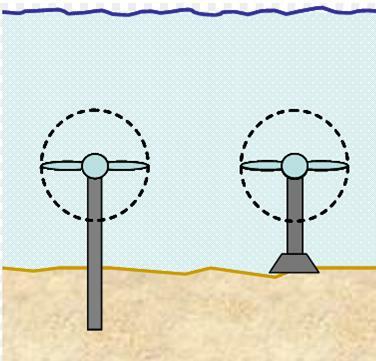 Modern tidal-stream generators resemble underwater wind turbines. They are designed to take advantage of fast moving currents caused by the flow of the tide. Image credit: unknown / Wikipedia commons. This post is an excerpt from “Do Fish Sleep? : and 38 other ocean mysteries”, by David Aldridge. It is available to buy on kindle here for the reduced price of $1.46 (99p) until the end of January. To read it, you do not need to own a Kindle device, just the Kindle App which is a free download for smartphones or tablets. It can also be read with“Kindle Cloud Reader” on a PC or Laptop.